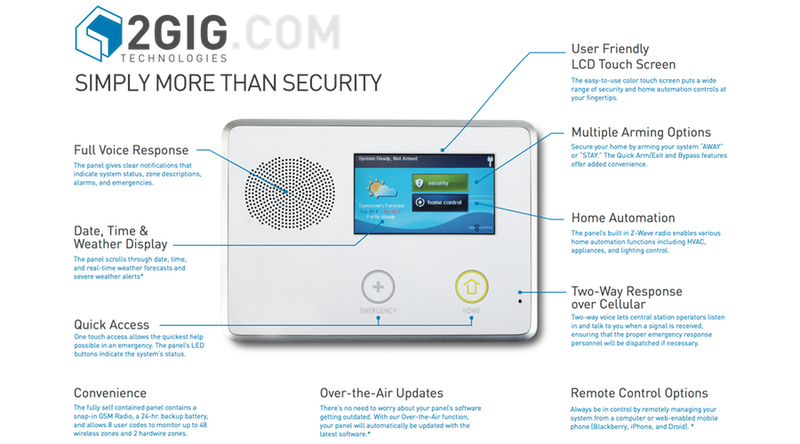 Our next-generation smart wireless security systems offer you an advanced, tamper-resistant technology with the single most reliable communications network around so you can be confident about the safety of your Louisiana home or business. This advanced touchscreen wireless system expands with your needs, so you can add more devices as your family or business requires. A few examples of these devices are door locks, garage door openers, cameras, smoke detectors, motion detectors, and carbon monoxide detectors. Our revolutionary security and home automation service, powered by Alarm.com, enables you to know what’s happening at home at all times. With alert notifications, video monitoring, and interactive security, you’ll have confidence knowing the people and things you love will stay safe. With the added functionality of the Alarm.com app, having remote control and monitoring of your home or business from your smart phone has never been easier.